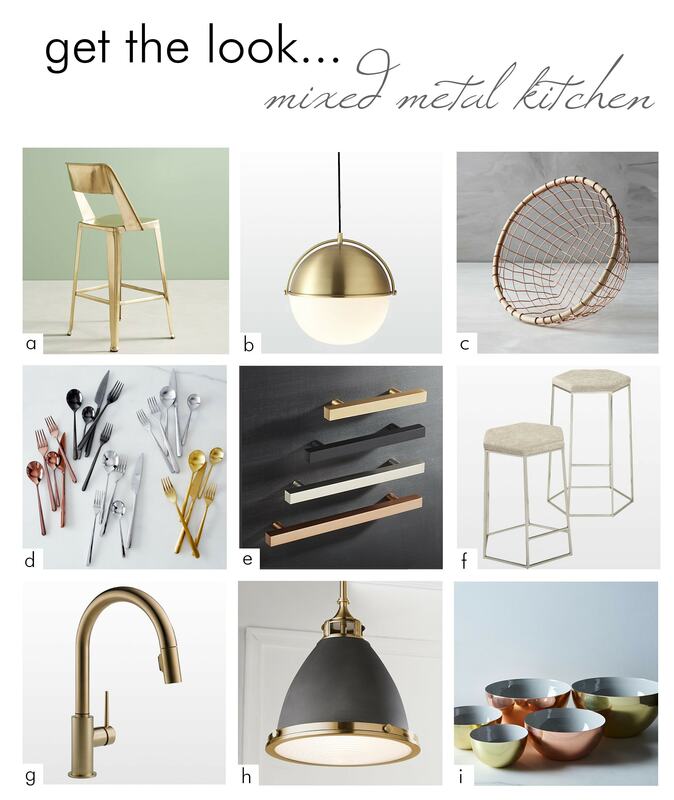 mixed metals may be one of the top design trends of 2018, but it is something that i’ve loved doing for my clients for some time now. mixing metals, when done with care and attention to detail, can add a layer of chic sophistication to a space. 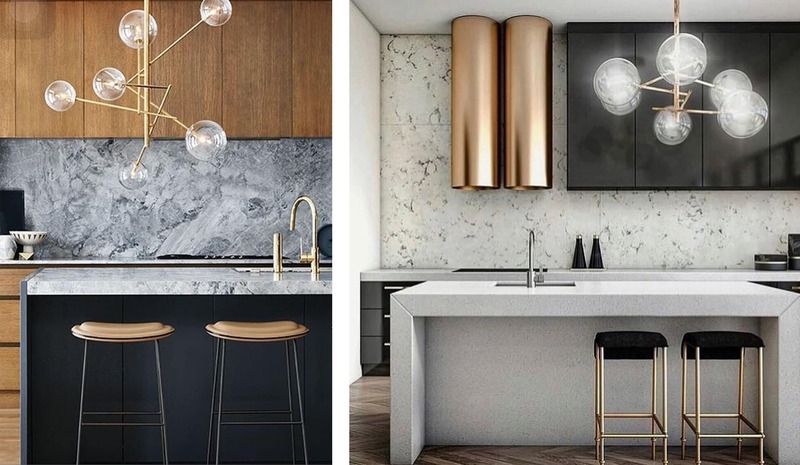 here are my tips to creating an elegant mixed metal kitchen! i’ve used this strategy often. here are two kitchens i designed with mixed metal finishes. 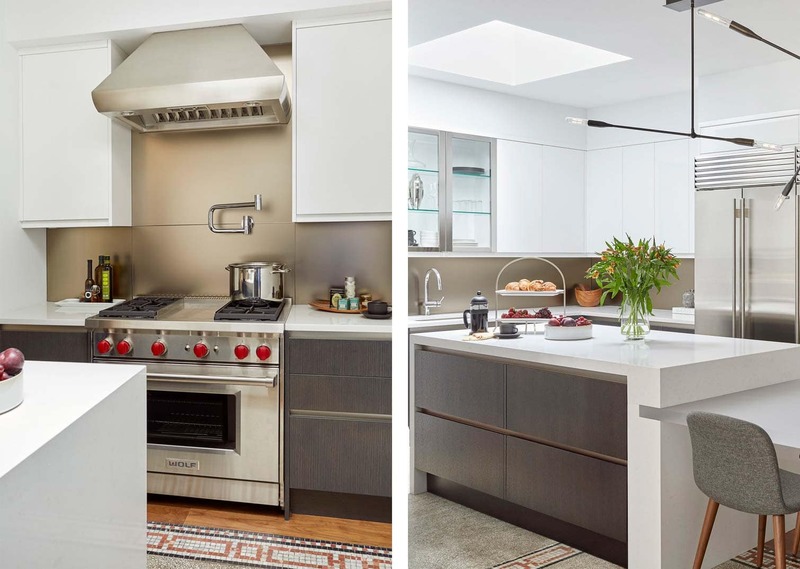 for this gut renovation tribeca kitchen, all the appliances were in stainless steel but i paired them with polished chrome faucets, polished chrome glass cabinets, and an eye catching blackened steel pendant light fixture. looking to learn more about this kitchen? … head on over to my blog post about this fantastic renovation. 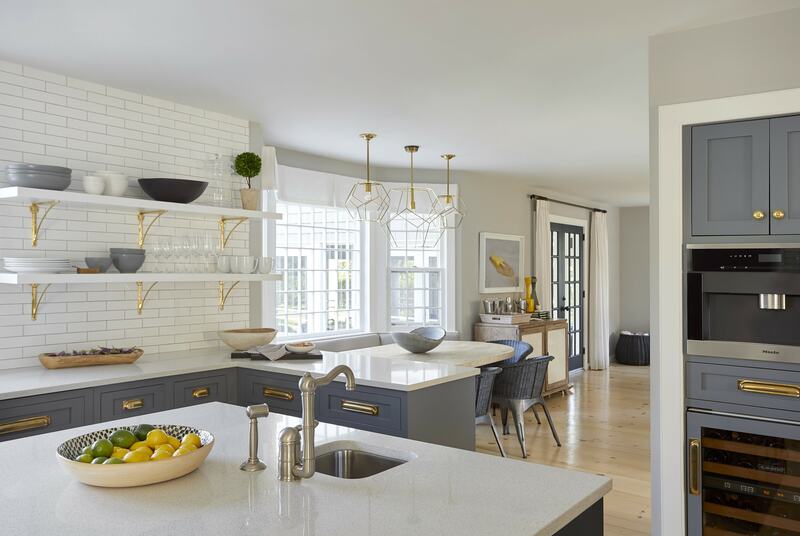 and for this hamptons kitchen, i used unlacquered brass hardware on the grey cabinetry to make it pop, in contrast to the antique brass detail on the light fixture, classic stainless steel appliances, and the oil-rubbed bronze faucet at the kitchen window. how do you get this look without it looking like an eclectic mish-mosh of ideas? well, with kitchens there are a few things you know right away: your stove and sink are likely either stainless steel or white. from there, it’s all about building relationships. 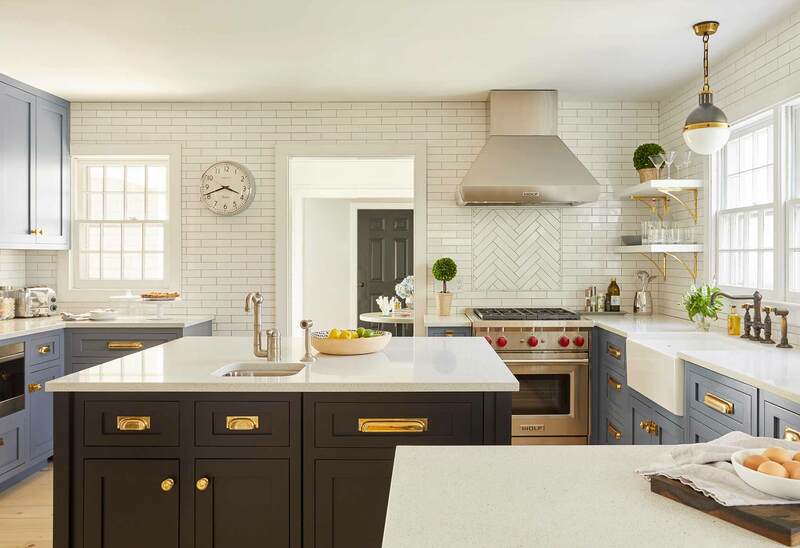 look at my hamptons kitchen and you’ll start to see the pattern. the stainless stove ties in with the other appliances, the hood, the clock, the stainless sink and faucets. 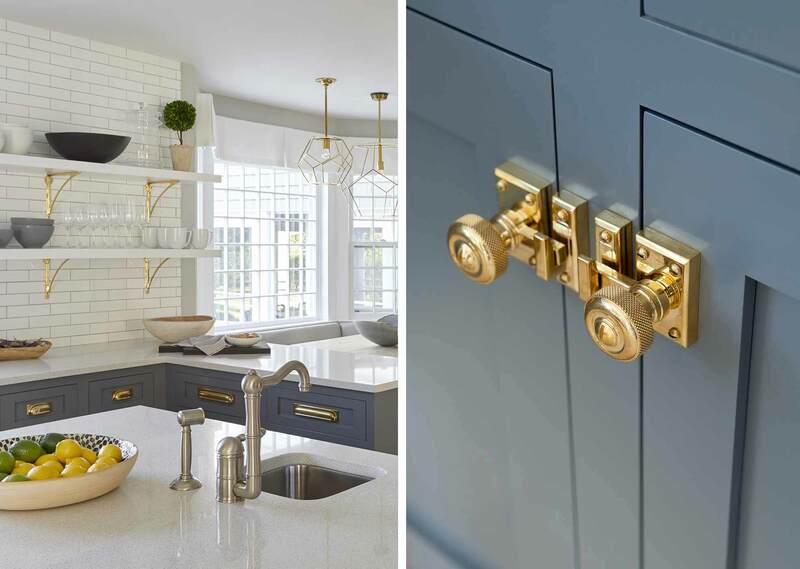 the brass hardware is uniform and ties in with the light fixtures and shelves. the black oil-rubbed faucet ties in with the schoolhouse light, black accents, and the hardware throughout the house. i like to think of hardware like jewelry. if your kitchen is a little black dress, your jewelry is what makes the outfit. with a classic silhouette, the choice between a simple strand of pearls versus a glamorous statement necklace creates a totally different look. a more old-fashioned black or silver drawer pull in this kitchen would make it a completely different space. the hardware is your opportunity to show your personality! it’s functional and beautiful at the same time. 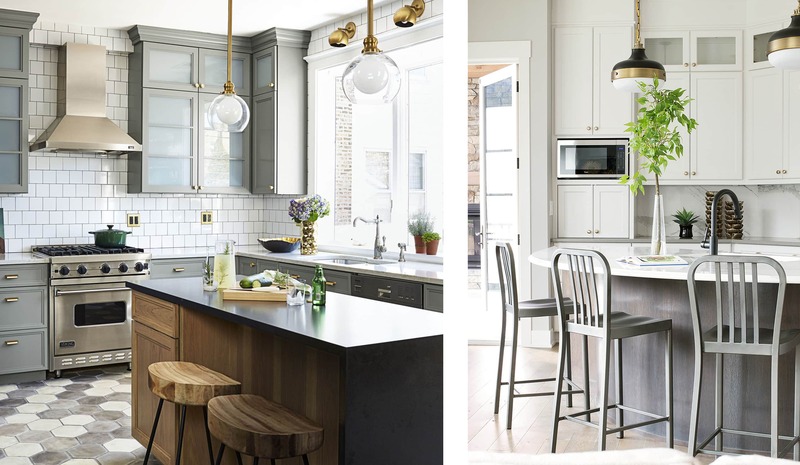 here are some more of my favorite kitchens that make excellent use of mixed metal finishes. 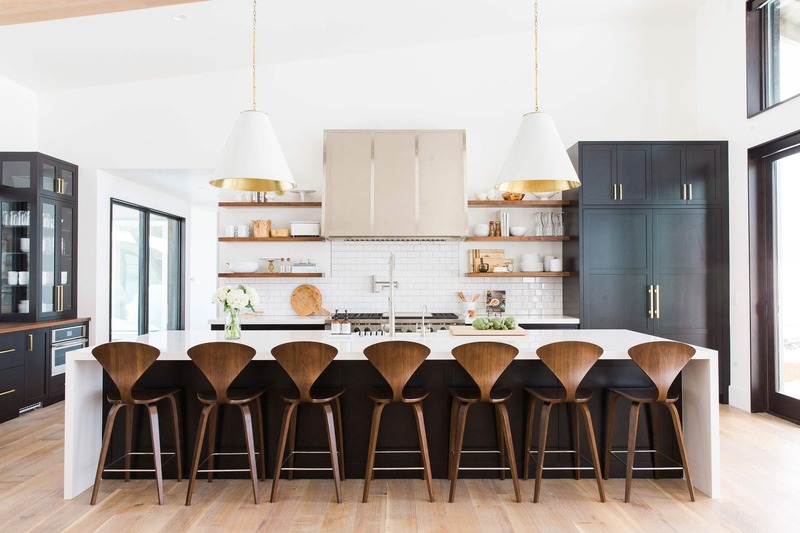 grab a glass of wine and get ready to drool over these swoonworthy kitchens! i love how these light fixtures tie in with the brass hardware. and the polished steel accents on the stove hood give it so much life! dying to get this look? 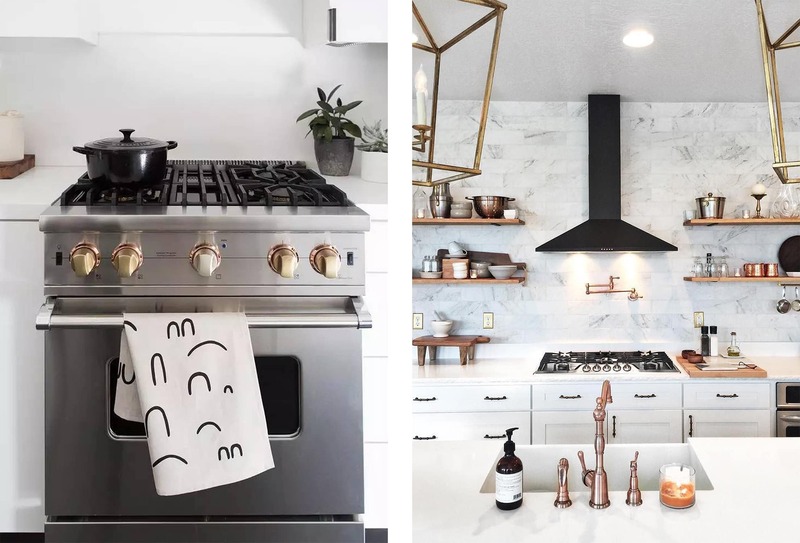 here are my suggestions for some mixed metal pieces to chic up your kitchen. want more mixed metals? tune back in next week for my favorite mixed metal living rooms!